For several years, ICICI Prudential Life executive vice president Puneet Nanda has got the daily sales report from his frontline staff. In recent years, he gets it in the form of a text message at seven in the morning. It gives him the details of the sale done the previous day. In a relatively new sector like life insurance, this ought to be the core team's mantra. Sale matters most when a business is in the growth mode. But for the last few months, Nanda has been giving equal, if not more, attention to a dashboard that his company has installed. Sitting in its Prabhadevi headquarters in Mumbai, the ICICI Prudential top management keeps a close eye on the dashboard that provides the expense details of every major office across the country. "Sitting here, you can switch off electricity in any office if you find wastage," says the head of the company's operations and technology, Madhivanan Balakrishnan. The dashboard has helped. So much so, the last financial year was a unique one in the history of the company. It was the first year when its top-line grew, expenses came down, and the company turned profitable. Click NEXT to read on. . .
A part of the reason for the cost-cut drive was the downturn, which also made the task simpler. Nanda, who is a key member of the task force that meets every month to see how costs can be lowered, says the company renegotiated rentals in all buildings where it had offices. 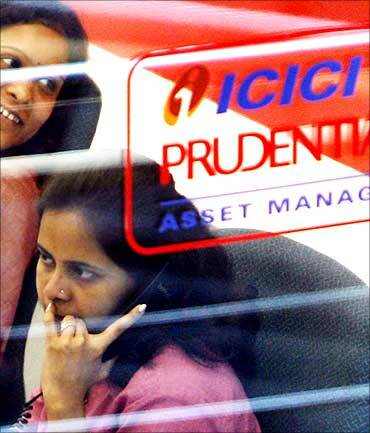 Over 350 of the nearly 2,000 ICICI Prudential offices were relocated to cheaper locations, while another 300 were shut down. Travel, domestic as well as foreign, was curtailed, stationary was rationed and even air-conditioners were switched off after a certain time. The only thing that survived the downturn unaffected was salaries which went up 12 per cent on an average last year and top performers got a 25 per cent raise. The reason was that there were fewer people on the company's rolls. Forget growing employees, even replacements were next to impossible, resulting in the headcount dropping from around 23,000 to 20,000. "We had to do it not just to get to profitability, but to get fitter," says ICICI Prudential Managing Director & CEO V Vaidyanathan. Controlling costs was one thing, but a disciplined approach to margins has been the key driver for Vaidyanathan and his team's efforts to make India's largest private life-insurance company profitable after nine-and-a-half-years of operations. "We cut fixed expenses by Rs 380 crore and that is not going to come back," says Vaidyanathan. The focus on profitability came when it dawned on the promoters that ICICI Prudential had been in business for eight years and they were still pumping in capital. But the pace of turnaround surprised even insiders since the revised deadline for getting into the black was set as March 2012. Vaidyanathan believes the foundation of the business had a big role in this. "It's the work of all the team members, particularly the people who built the business over so many years," he says. ICICI Prudential, mind you, is one among the four profitable private life insurers in the country -- SBI Life, Bajaj Allianz and Kotak Life being the others. There are 22 private life insurers around. Arch rivals like HDFC Standard Life and Max New York Life are still in the red. 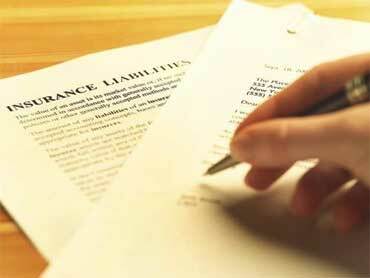 The largest player in the market, of course, is the state-owned Life Insurance Corporation. Even in sales, ICICI Prudential has done a course-correction. For a company that has long been seen to focus solely on selling, the mantra now is "selling right". Also, the charge structure has been changed. So, instead of frontloading the charges, which in some cases were as high as 20 per cent in the initial year, the new products come with upfront charges of 6-7 per cent. "Instead of paying more commissions, we brought out new products that were relevant for the current market needs. Also, lower-charge products were introduced," says Vaidyanathan. Last year, ICICI Prudential's sales fell continuously but, in a year of cost cuts, its share of the market moved from 7 per cent to about 9.5 per cent now. The focus is on selling long. The design of products has been remade in such a way that the sale is for the long term. Its products now offer bonus to those who keep renewing their policies. 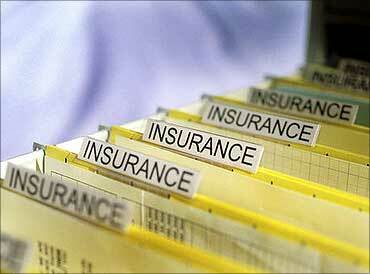 "We are encouraging policyholders to stay long with a loyalty bonus. In some of our products, we have said that if you cannot pay the premium in one year we will defer it by a year," adds ICICI Prudential Executive Vice-president (sales & distribution) Tarun Chugh. The other focus for the sales force is selling to a grid. "The moment you sell the right product, you ensure that people will pay their premium on time," says Chugh. And, to ensure that every new customer is getting the right product, ICICI Prudential is now calling buyers to check that the policy sold to them actually fits in with their profile. All this has also meant that the sales force needs to be retrained to ensure that the policy lasts its term instead of customers dropping out midstream. So for the new entrants the hiring pitch is also different. 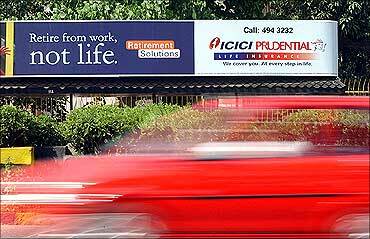 To start with, ICICI Prudential is only looking at those with prior experience in insurance. Besides, the job presentation makes the needs of the job clear. "You need to tell people upfront that they may be required to visit people at home over the weekend or on a holiday since that is how insurance is sold. Then it is up to them to decide.... It was earlier like getting to a chartered accountants' course: Simple to get in but difficult to pass. Now, we are moving towards the IIT model: Tough to get in, but you don't fail once you get in," says Judhajit Das, the head of human resources. Das says that of the 2,000 new employees who came on board this year, only 15 have quit so far instead of the three-digit numbers that was the norm earlier. The other focus area is productivity which has gone up due to higher sales and fewer employees. But is the model sustainable? The industry believes it is as everyone is trying to control costs and turn profitable. But Nanda is candid enough in admitting that to reduce the expense ratio further will be a tough ask. The company has lowered its management expense from 14 per cent to 9.5 per cent in 2009-10, and going forward the idea is to ensure that the top-line grows faster than the expenses. "The approach is to reduce the fixed costs and make them variable," says Vaidyanathan. So, in a lot of cases, the company is looking to convert fixed costs into variable costs such as real estate and also in the case of certain non-core back-end activities. The idea is to be ready for business cycles and stay profitable even during tough times. Per capita income: Kerala is actually no. 1! Indians, world's most ambitious workers!